As the moon rises over Mardi Gras World this coming weekend, you still may not have yet had your fill of BUKU Music & Art Project for the day. Luckily, this is a New Orleans-based festival, so you know the party doesn’t stop after the final artist’s encore. Time: 12 a.m. to 4 a.m.
Time: 12 a.m. till 4 a.m.
Borgore and 12th Planet separately could send any dubstep lover straight into orbit, but after performing together as Buygore, the duo may need to hand out neck braces to attendees for the ride home. 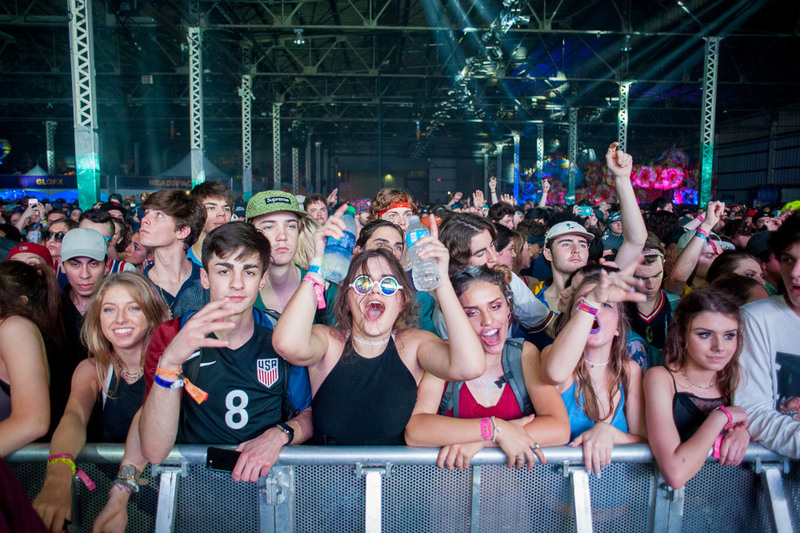 Remember, kids: BUKU, like any fest, is a marathon, not a sprint—don’t break ya neck on Night 1. Time: 11 p.m. to 6 a.m. Spectrum remains a happy haven for dance music lovers each Friday night, and this weekend’s BUKU iteration features local favorites spinning underground heat that’ll trap you inside until the last note fades. 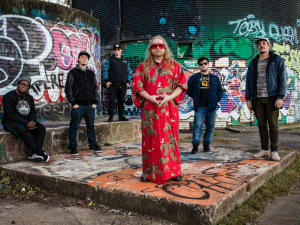 Since their first official release in May 2017, New Orleans musicians’ collective Pink Room Project have quickly established themselves and their Hotline parties as a signature event in the local dance music scene. 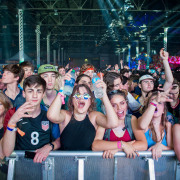 Blending Detroit house, industrial, hip-hop, R&B, rock ‘n’ roll, and more, this crew has a firm grasp on the danceable elements of music across genres and will keep those BUKU vibes rolling. Missed some of the artists performing only on the VIP Back Alley stage? 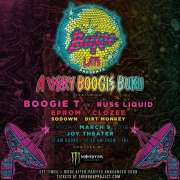 This late-night event is your chance to catch BUKU VIP-only artists Brownies & Lemonade, graves, and Medasin plus a special DJ set from Illenium, and more (BUKU VIP passes still available HERE). This month’s special BUKU edition of the Kompression house/techno monthly features NYC tech house legends plus all your favorite resident talent keeping the beat strong and steady well past sunrise. Time: 10 p.m. to 7 a.m. Ever the choice spot for quality late-night dance music, Techno Club brings in tech house legend Blaqwell to headline the BUKU iteration of this venue’s fast-growing Saturday night weekly, We Love Techno. Time: 12 a.m. to 5 a.m. If late-night hip-hop is your cup o’ lean, head over to Republic NOLA for one of the best lineups of its kind this Saturday night. This event combines production and performance talents from BUKU artists and more in conjunction with vendor Sneaker Politics and local radio station Power 102.9. Bassheads unite when Soundsystem Cultures LLC descends upon the Marigny neighborhood with a mind-bending lineup of artists blasting their creations through Funktion-One Sound. 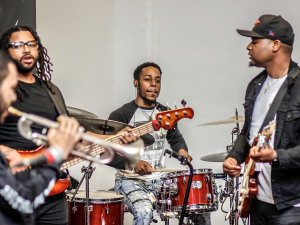 Local saxophone maestro Khris Royal is well known for his versatility, having played with legends across the funk, jazz, hip-hop, and electronic dance music genres, from Rebelution at the Joy last month to the Pretty Lights second line during last year’s Jazz Fest. Jam and funk heads—do not miss this rager. Just because BUKU itself is done doesn’t mean the weekend revelry has ended—you’ve still got a full day of opportunities to keep your groove going well into Monday morning. Music on Frenchmen St kicks off as early as 4 or 5 p.m. at certain venues (check Maison and Apple Barrel!) if you’re jonesing for tunes before the sun sets. Bask in rooftop vibes while sipping strawberry frose as two beloved belles of the disco ball throw down an early evening set of chill jams and funky grooves. Looking to mix up your Sunday musical stylings? Check out Day 3 of local DIY indie label Community Records’ 10-year anniversary celebration, and enjoy the series of top-notch indie and rock bands performing as part of an Exploding In Sound Records showcase. Always ending the weekend on a weird note, the team behind NOLA’s weekly bass night Church* presents a stacked lineup of local and international bass and dubstep heavyweights ready to close out this unforgettable BUKU weekend. And don’t forget to check out the Church* artists’ showcase at BUKU itself on the Front Yard stage Saturday.